It’s no secret that an airline ticket’s so-called “base fare” is not its full cost—taxes and fees inevitably inflate the bill. But some airlines do more than pass along these unavoidable government taxes and airport-­imposed fees. They tack on their “carrier-imposed fees” (sometimes called “carrier surcharges”). These fees can be staggeringly steep. Example: ­Carrier-imposed fees on British Airways and Virgin Atlantic round-trip business-class tickets between New York and London can total $500 to $1,000 or more. In some cases, that’s more than the base fare. Carrier-imposed fees do not cover a specific airline cost, and they tend to vary from flight to flight with no apparent correlation to the amount of the base fare or the length of the flight. They are included in the ticket prices you see on travel websites, so you might not think that they’re anything to worry about—what does it matter whether the airline charges low fares and steep fees or vice versa? The truth is, it can matter very much if you use a frequent-flier program. When you redeem frequent-flier miles to obtain a ticket, you don’t have to put out any cash for the base fare—but you must pay taxes and fees out of pocket. If there are carrier-imposed fees, your “free” ­frequent-flier ticket could be far from free. What to do: Try to avoid flying on ­British Airways or Virgin Atlantic when redeeming (or attempting to accumulate) frequent-flier miles. These airlines tend to have the highest carrier-imposed fees in the industry. If you already have accumulated frequent-flier miles on a steep-fee airline such as these, consider redeeming your miles for flights on one of its airline partners that does not impose steep fees. Examples: British Airways miles can be redeemed for flights on American Airlines, Japan Airlines and Cathay Pacific, among others. Virgin ­Atlantic miles can be redeemed for flights on Delta Air Lines, Hawaiian Airlines and ANA, among others. As a rule of thumb, US-based airlines are least likely to charge hefty fees…while European-based airlines are most likely to do so. 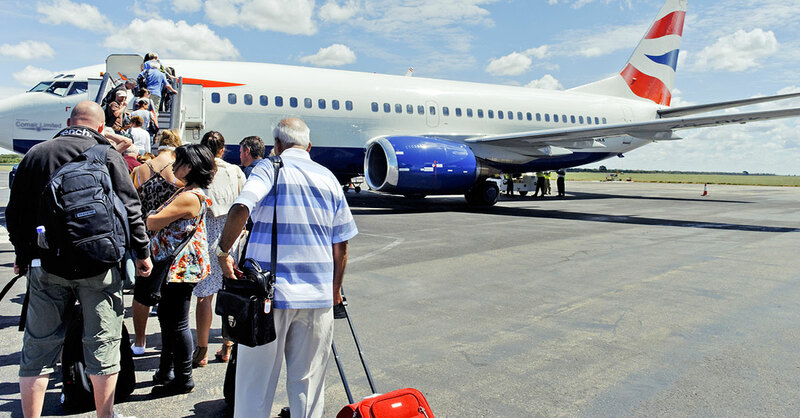 Caution: In some cases, if you try to book an international flight using ­frequent-flier miles on a US-based airline such as American, the airline’s website may offer you a ticket on a foreign partner airline such as British Airways that imposes the big carrier-imposed fees.